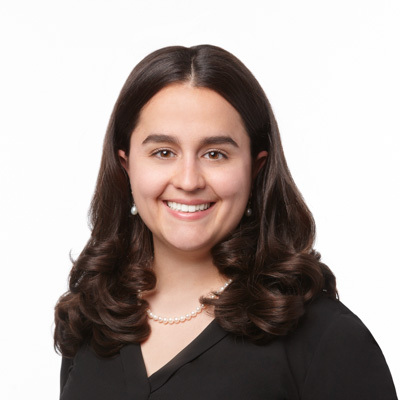 Sophie is an associate in Gowling WLG’s Montréal office and a member of the firm’s Litigation Group. She specializes in domestic and international arbitration and litigation. She has acted as counsel and as assistant of the arbitral tribunal in complex international proceedings. Prior to joining Gowling WLG, Sophie practised in Toronto, where she was a member of the Litigation and Dispute Resolution Group of an international law firm. Before that role, she was assistant legal counsel at the Permanent Court of Arbitration (PCA) in The Hague in the Netherlands. She has also worked as an assistant to a leading international arbitrator based in Montréal. Sophie is a member of the Québec Bar and was trained in both civil and common law. She is fluent in French and English and has a functional knowledge of Spanish. She holds an LLM in International Dispute Settlement (MIDS LLM) from the Graduate Institute of International Studies and the Geneva Law School, where she is now writing her PhD in investment arbitration. During her studies, she clerked at the Superior Court of Québec. After graduating, she interned at a top boutique law firm focusing on international arbitration in Brussels, at the German Institution of Arbitration (DIS) in Cologne and at the United Nations in Geneva.